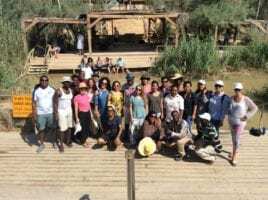 From June 10th – June 29th 2018, the Arava Institute held its second MASHAV* training program entitled “Environmental Management of Nature Parks and Reserves – focus on Ecosystem Services”. The training program was part of the ongoing work of the Arava Center for Sustainable Development (ACSD). Fifteen women and nine men were chosen from almost sixty applicants. The participants came from eighteen developing countries: Albania, Angola, Armenia, Azerbaijan, Botswana, Colombia, Ethiopia, Georgia, Guatemala, Kazakhstan, Kenya, Panama, Paraguay, Philippines, Serbia, Sri Lanka, Ukraine and Zambia. The participants were all professionals, working for government, non-governmental organizations, decision-making bodies, academia and the private sector. The twenty-day course exposed participants to arid land functions and the services they provide. Participants learned what ecosystem services are, and discussed different management styles with an emphasis on biosphere reserves. They learned how ecosystem services can be assessed, valued, priced and translated to management practices, as well as about the differences in management between several types of eco-systems. The course also included elements of renewable energy use, sustainable agriculture and water resource management. The group toured a variety of nature reserves and parks including the International Birdwatching and Research Center and the Coral Beach in Eilat, Evrona (site of the 2014 oil spill), Hai-Bar Yotvata, the Ein Gedi Nature Reserve, the Ramot Menashe Biosphere and the Kdoshim LTER outside Jerusalem. Highlights included: guided snorkeling on the Coral Reef; MASHAV culture night with kibbutz members joining to learn from participants about their cultures; and a final ceremony in Jerusalem attended by the Director of MASHAV’s training programs, Ambassador Peleg Lewi in addition to ambassadors and consulate representatives from Georgia, Angola and Paraguay embassies in Israel. 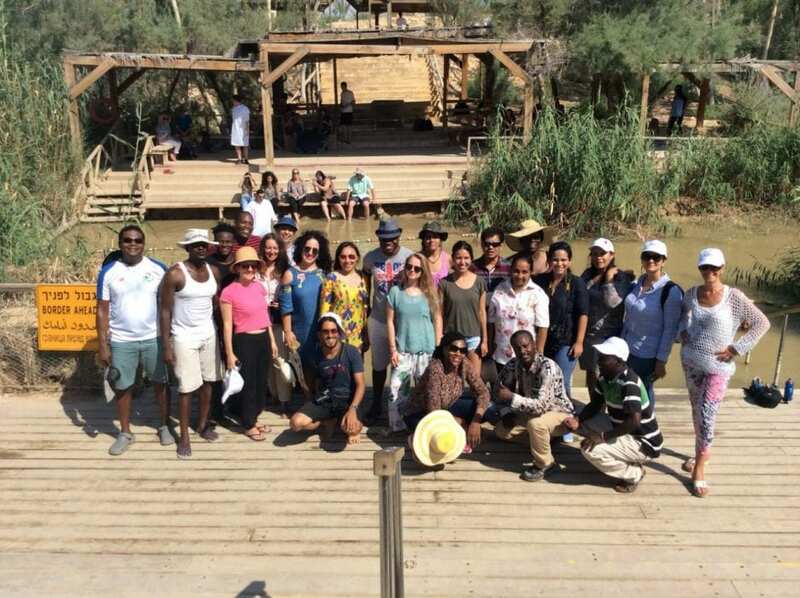 The participants left the Arava Institute and Israel inspired and equipped to advance Environmental Management projects in their own countries. Congratulations to the MASHAV team: Dr. Shmuel Brenner, Dr. Elli Groner, Tali Adini, Abby Lutman Avigail Ben Yohanan, and intern John Erum for implementing this exciting course.